Upholstery cleaning is an important part of Peacock Rug Care. You can be proactive in between professional cleanings of your upholstery to keep it’s beautiful look. Here are a few suggestions that may be helpful. Take the upholstery attachment of your vacuum along with the crevice tool and give it a good vacuuming. It’s amazing how much environmental soiling falls into fabric. (otherwise known as “dust”) Pay special attention to the folds and hidden areas. If you clean up a spot on the fabric, try to dry it as quickly as possible to avoid a watermark. A hair dryer works well. Just don’t hold it too close. The number one rule in preventative maintenance is to make sure nobody eats on the sofa or chairs. That’s a great rule, but in reality…… OK, forget rule number one. There are so many types of fabrics, weaves, and materials when it comes to upholstery coverings, it takes experience to know how to clean them to get beautiful results. 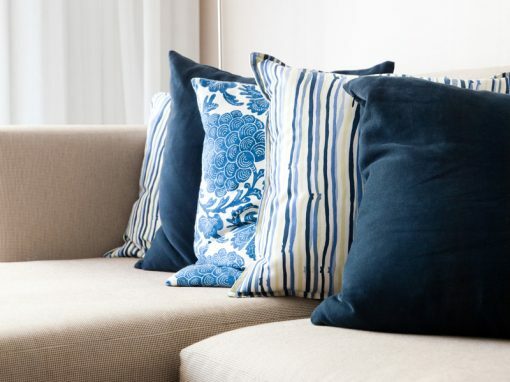 Whether it’s a raw cotton sofa, a soft velour chair, or a tough polyester micro-fibre family room sectional, you can have confidence that we can restore the appearance to new like condition.